Coworking spaces in Bangalore, it sounds exciting. Isn’t it? 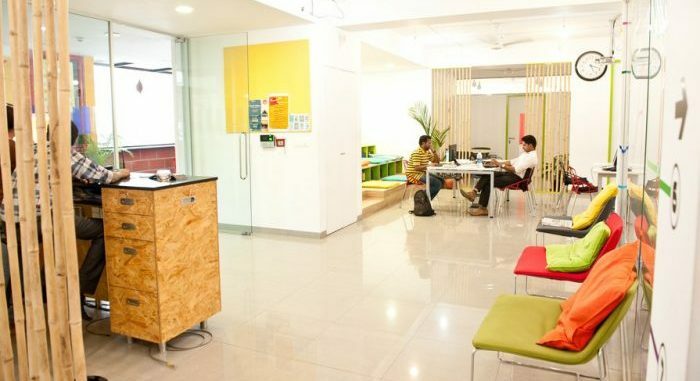 Bangalore is the front runner in forwarding the concept of Coworking in India. This is because Bengaluru (earlier Bangalore) has the most number of startups in the country. The multicultural canvas of Bangalore allows for the integration of different ideas blooming at one place. As a leading city in the servicing sector, Bangalore has become the first choice of many corporates to open up their regional offices in India. Coworking is on the rise in India and none other than the city of gardens can fuel this wagon. The list of coworking space in Bangalore is never-ending, there are a plethora of spaces opening up shop consistently. 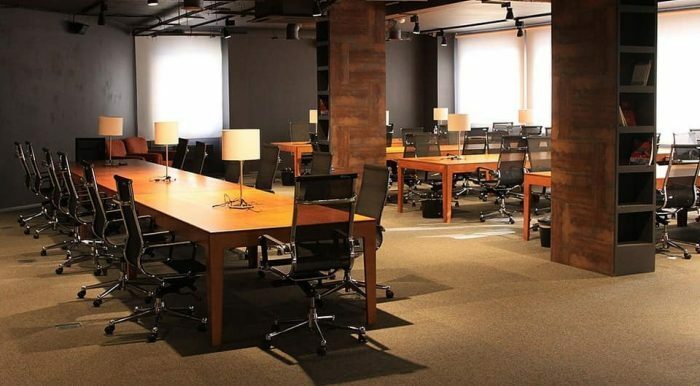 This list is about the best of coworking spaces operating from the Silicon Valley of India. Follow below to know about some of the biggest and most popular coworking space Bangalore. 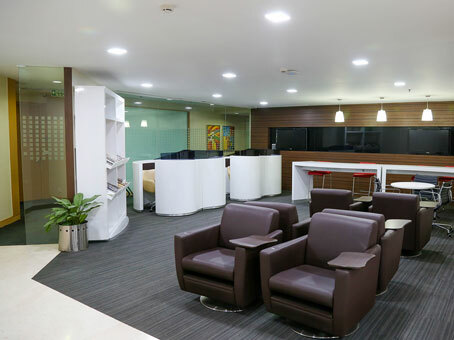 Regus is one of the biggest and the most expanded coworking spaces in Bangalore. There are 15 coworking spaces run by Regus in and around the city. Regus provides efficient services, unflinching support and state of the art peripherals to the members to work with. You will find that the ergonomic desk and chairs will increase your productivity levels while working with Regus. Working at Regus is not less than a beautiful adventure. The panoramic views from some of its locations is mesmerizing and splendid. Levels 14 & 15, Concorde Towers, UB City, 1 Vittal Mallya Road, Bangalore. Level 9, Raheja Towers, 26-27 Mahatma Gandhi Road, Bangalore. Level 1, Tower B, The Millenia, 1 & 2 Murphy Road, Ulsoor, Bangalore. 1st and 2nd Floor, IBIS Hotel, 26/1 Hosur Road, Bommanahalli, Bangalore. 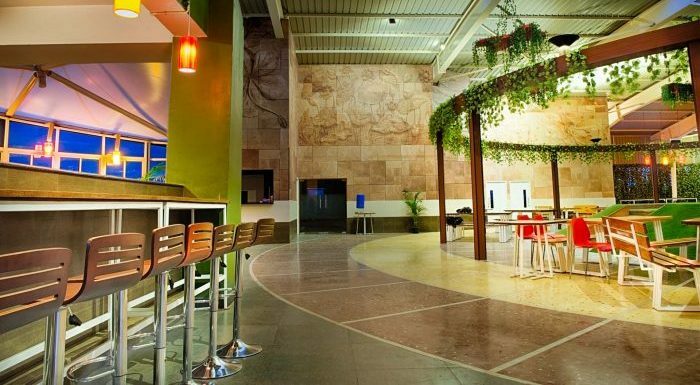 Membership Plans: At this one of the biggest coworking space Bangalore, you can get lounge membership. Along with this, there is the desk and private office plans available at Regus Bangalore. The pricing details are not shared by Regus on their official website, you need to contact them to know more. 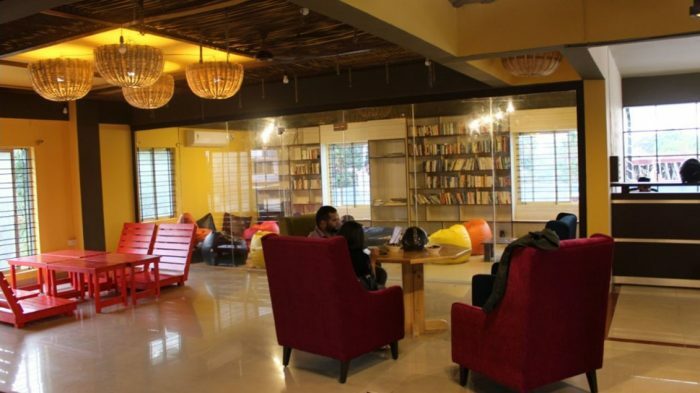 India’s homegrown coworking space and which is developing wonderfully. 91 Springboard is yet another reason why Bangalore is the front runner of the coworking trend in India. All the 91Springboard Coworking spaces in Bangalore are replete with immaculate interior designing. You will also be working amongst the best and brooding talent of Bengaluru. 91Springboard Bangalore also provides other important services for startups like accounting, payment solutions, and whatnot. George Thangaiah Complex, #21, 80 feet road, Near CV Raman Hospital, Indiranagar, Bengaluru. 3rd, 4th and 5th floor, #175 and #176, Dollars Colony, Phase 4, JP Nagar, Bannerghatta Main Road, Bengaluru. 4th Floor, No 22, Salarpuria Towers-I, Hosur Road, 7th Block, Koramangala, Bangalore. 3rd Floor, Padmavati Complex, 80 Feet Road, 8th Block, Koramangala, Bengaluru. Gopala Krishna Complex, No. 45/3 Residency Road, MG Road, Bangalore. Membership Plans: This coworking space in Bangalore facilitates various memberhsip plans which are price-adjusted as per the location. You can choose from an open flexi desk, an open dedicated desk. Along with this, there are private cabins and private 2-seater cabins to work from at 91Springboard Bangalore. Awfis Bangalore aims to strike a perfect balance between work and life of an individual. By virtue of being a member of this amazing coworking space in Bangalore, you will be exposed to an innovative and vibrant culture. You will get a lot of networking opportunities when working at Awfis as they conduct various sessions and workshops. All the measures taken by this coworking space in Bangalore aims at forwarding your business. 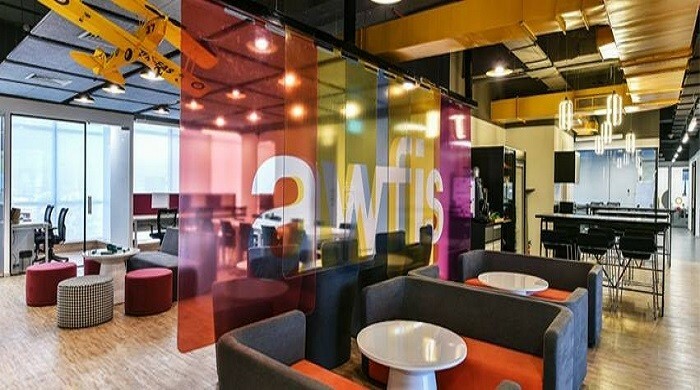 Awfis Space Solution, A Block, 2nd Floor, Dayanand Sagar University, Kudlu Gate, Hongasandra Village, Begur Hobli Hosur Road, Bengaluru. 3rd Floor, 721, Chinmaya Mission Hospital Road, 1st Stage, Indiranagar, Bengaluru. 7th Floor, HM Vibha Towers, Hosur Road, Koramangala, Bengaluru. 14th Floor, Skav 9090 Building, Richmond Road, Shanthala Nagar, Ashok Nagar, Lavelle Road, Bengaluru. Membership Plans: you will be able to choose from desk options and cabin options at Awfis’s all the coworking spaces Bangalore. The desk options start at ₹9500 and can go till ₹12,500. As for the cabin options, there are multiple rates for all the locations. You can contact them through the official channel to know more. Bangalore is known as the technology hub of India, you will find a plethora of Indian startups calling the Garden City their home. What’s even better than this is that WeWork has 10 coworking spaces in Bangalore. These are spread throughout the city in every possible location where there is a scope of development. 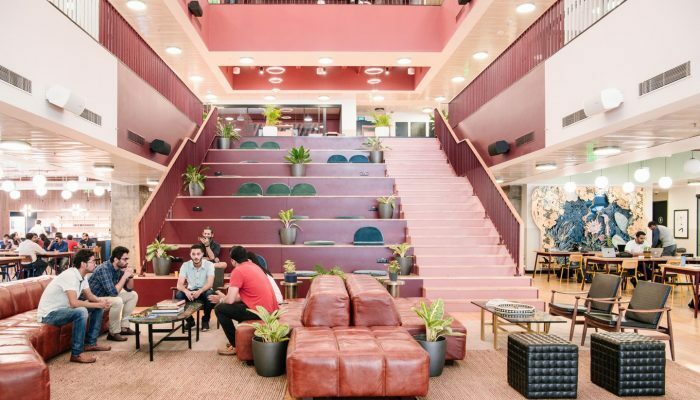 WeWork Bangalore embarks on a never-forgetting journey with its vibrant community. 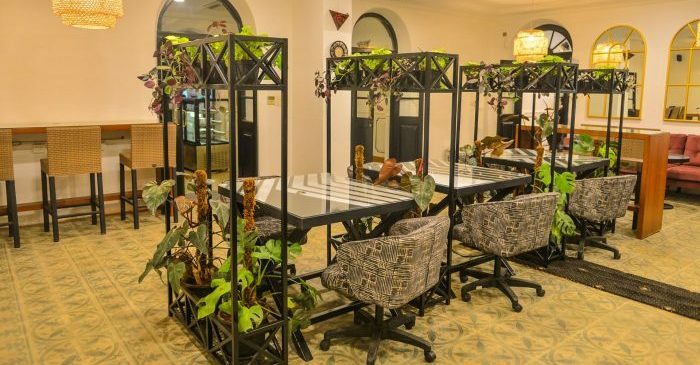 This coworking space in Bengaluru is the most sought-after workspace in the city. Salarpuria Symbiosis- Arekere Village, Begur Hobli Bannerghatta Road, Bengaluru. Block L, Embassy Tech Village Devarbisanhalli, Outer Ring Road, Bellandur, Bengaluru. Just announced: Prestige Central, 36 Infantry Road, Bengaluru. 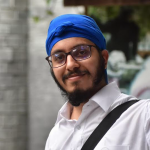 Membership Plans: All the WeWork’s coworking spaces in Bangalore have varied membership prices. The hot desk plan starts from ₹6000 and can go till ₹12,500. For a dedicated desk, you may need to pay ₹10,000 at one location and at Galaxy you have to shed ₹18,000 for one permanent desk. Coming to private offices, WeWork Bangalore provides offices spaces in all its locations. Here you can rent out an office space of any number of occupants depending on your requirement. 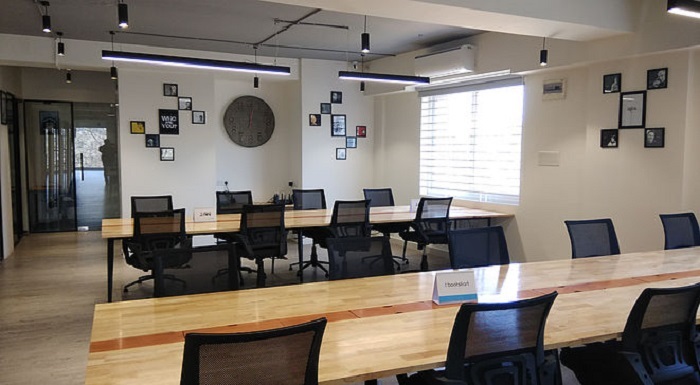 A single person private at this coworking space based in Bangalore will cost you ₹17,000 at one location and can go till ₹30,000. At Cowrks Bangalore you will be working amongst an inspiring and energetic environment. The community support will let you work harder than ever and focus on scaling your business. From customizable offices to vigilant security this is one of the most amazing coworking space in Bangalore. 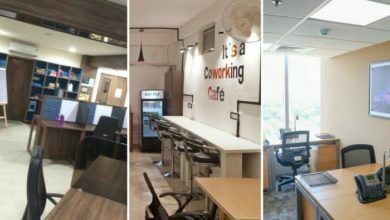 The startup capital of India has a lot to cheer for when there are 6 coworking spaces like Cowrks are operating in the city. Most importantly, you will get to focus on what’s important and what matters in your business. Isn’t that what we all want? Purva Premiere, Residency Road, Bengaluru. Block 1B, RMZ NXT, Whitefield Main Road, Bengaluru. Koramangala: 5th Floor, Salarpuria Arena, Hosur Road, Bengaluru. 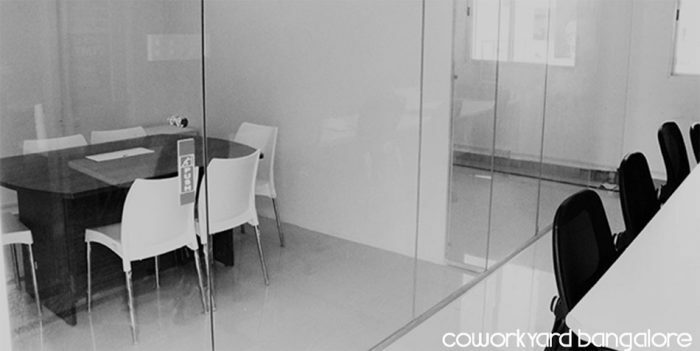 Membership Plans: Cowrks Bangalore provides flexible desks and dedicated desks to the members. Here too the membership prices vary as per the space and location. The flexible desk at all the Cowrks coworking space Bangalore is priced between ₹10,499 & ₹12,499. Coming to the dedicated desk, you can get one desk at a cost ranging between ₹12,499 & ₹15,999. Primarily BHive is a technology venture and they have upended the office leasing business in the city with its Zero Brokerage facility. This coworking space in Bangalore is also spread around a number of locations. Bhive has its own PropTech solution through which they will help you the perfect workspace from all of its coworking spaces in Bangalore. Their mission is to become the most sought after coworking space provider in the country. Locations: There are 20 locations of BHive Bangalore and I am listing only a few of them. For the rest, you can check their website. #703, 22nd Main Road, HSR Layout 2nd Sector, Bangalore. 9th Floor, Prestige Towers Shanthala Nagar, Ashok Nagar, Bengaluru. No. 269, 18th D Main, 6th Block, Koramangala, Bangalore. No. 25, 12th B Main, HAL II Stage, Indiranagar, Bangalore. 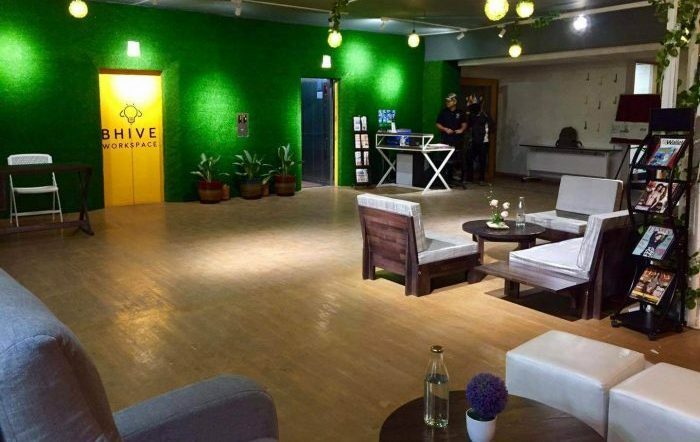 Membership Plans: Bhive is one among the largest coworking space Bangalore and they have different membership options. Starting from Day Pass, which starts from ₹365 and can go till ₹639. Then there is the Bulk Day Pass whose price starts at ₹2500 and can go till ₹5000. Lastly, there is the dedicated desk, for you need to pay between ₹5000 & ₹8500, to rent a workspace from this coworking space in Bengaluru. A major benefit of Coworkyard is its number of locations. You can work from multiple locations within one city and leverage the best of both worlds. The fun environment and pocket-friendly membership rates make coworkyard one of the most liked coworking spaces in Bangalore. Their locations are handpicked to provide maximum freedom to the members for commuting easily to the workspace. 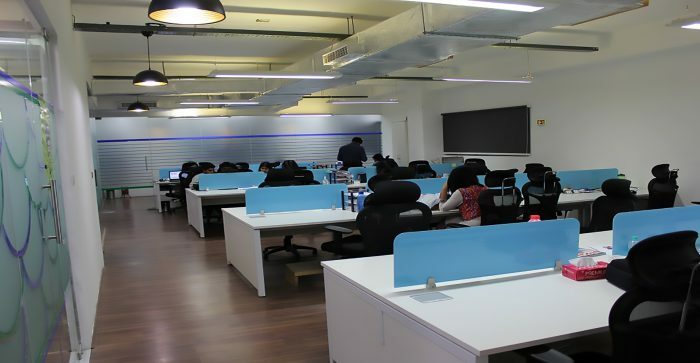 In Bengaluru, Coworkyard has 16 centers spread in 9 areas of the city. Membership Plans: This Bangalore coworking space has three subscriptions for the members. One is the Standard Subscription which will cost you around $149/month. Then there is the Premium Subscription which is available after paying $699/month. And lastly, there is the Deluxe Membership, which will cost you $1199/month. Every startups and entrepreneur who have just stepped in the business world require two things. An efficient workspace area and community support. You will find both of these aspects at Innov8, an eloquent coworking space in Koramangala. This is also one of the best and supportive coworking space Bangalore. The Innov8 coworking centers will take you to a whole new level of collaboration and workspace environment. Not only for startups and entrepreneurs, but this coworking space in Bengaluru is also optimal for people from all walks of life. Locations: No 3, 20 Main Road, 7th Block, Koramangala Industrial Layout, Koramangala, Bangalore. Membership Plans: Innov8 has not shared its membership plans on the official website. But you can choose from a hot desk, dedicated desk and a private to work from at this efficient coworking spaces in Bangalore. 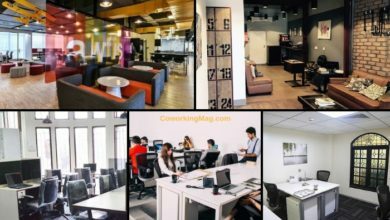 All the coworking spaces in Bangalore are there to provide the best of services and facilities to their members. In this scenario, Commune coworks is also in the tally to effectuate best in class coworking culture to the members. 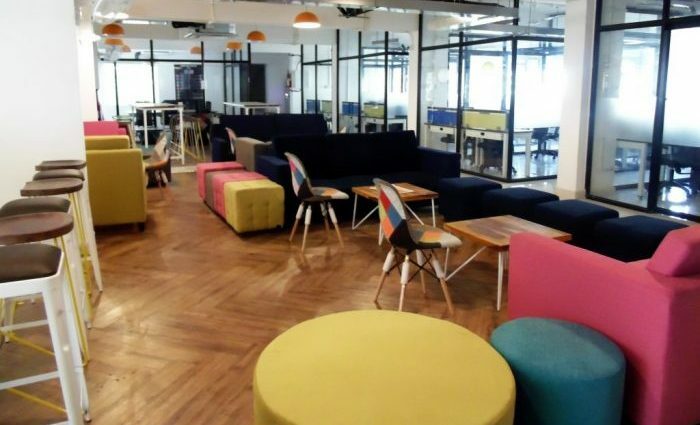 This coworking space Bangalore has well designed and custom curated work floors. They cater to all types of members be it a startup owner or the CEO of a company. The doors are open for one and all. Location: 139, First Cross Road, V Block, A Cross Road, Koramangala, Bengaluru. Membership Plans: At Commune Coworks, you can work from a hot desk, a private desk and also your own private cabin. The membership rates for all these will be shared upon direct contact. Reach them out if you want to work from this amazing coworking space in Koramangala. To summarize Indiqube in their own words, they call themselves as Growth Catalysts. This is one of those coworking spaces in Koramangala which aim to support you to scale and launch your startup. Indiqube is a business-centric coworking space based in Bengaluru and 5 more cities across India. They take pride in forwarding your business venture to new heights. Location: Silicon Terraces, 30/1, Hosur Road, 7th Block, Koramangala, Bengaluru. Indiqube Bangalore also resides in two other locations in the city at Sanjeevini Nagar and Outer Ring Road. Membership Plans: At Indiqube Bangalore you can choose from a hot desk, a private cabin and also a permanent desk. 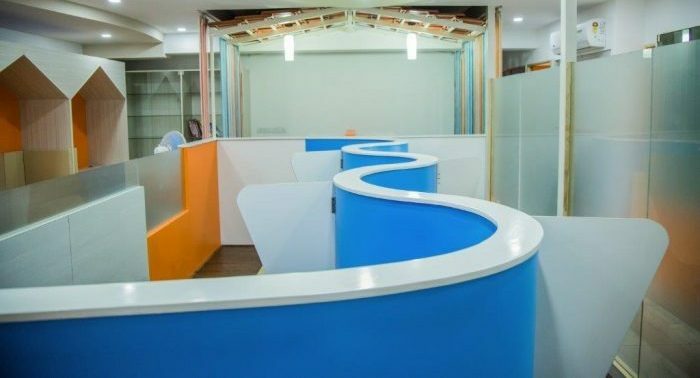 The membership rate for a permanent desk at this unique collection of coworking space Bangalore are available. One permanent desk will cost you ₹6500/month. 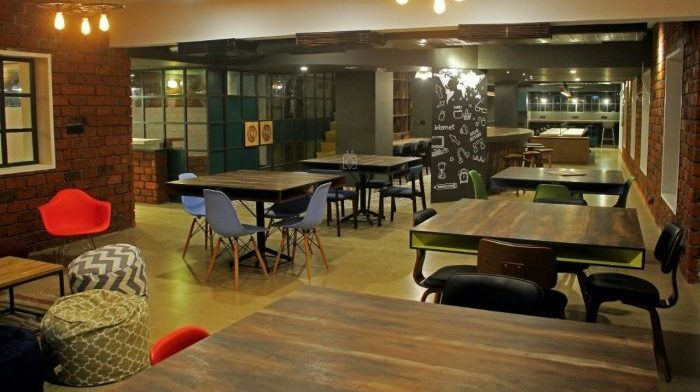 You will find some out of the box coworking spaces in Bangalore, one of them is Dialogues Cafe. This is not a typical coworking arena that focuses on work, work, and work. Rather, you can call Dialogues Cafe as a social space which breeds collaboration and interaction among the members. The inner ambiance of this workspace is such that it will bring out the real you. Location: 41, 100 Feet Road, 4th Block, Koramangala, Bangalore. Dialogues Cafe Bangalore is located in JP Nagar at 57, 15th Cross Road, Gangadhar Nagar, JP Nagar Phase 6, Bengaluru. 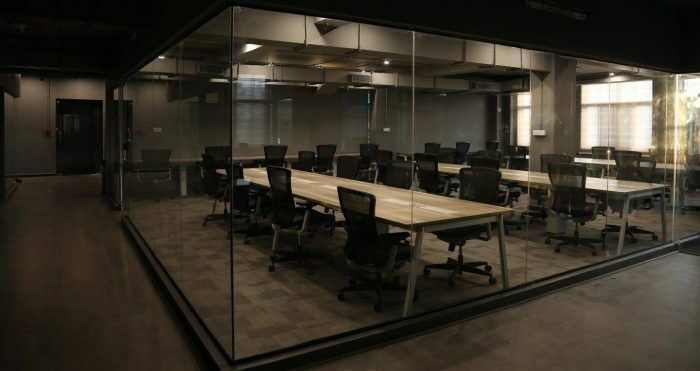 Membership Plans: When we are talking about the unique coworking spaces in Koramangala, their membership plans have to be different. For dialogues cafe, the membership plans are as such. For Individuals, they have day pass costing ₹220/hour. The Entrepreneurs can avail their workspace after paying ₹3400/week or ₹5000/month. Coworking, Networking, and Growing. These are the three aspects which are crucial to Incubex. Coworking spaces in Bangalore similar to Incubex are there to assist the members in streamlining their businesses. Until and unless you are in the right workspace, you cannot be creative and concentrate enough on your venture. That is why Incubex Bangalore thrives to provide you with the right work culture and environment. Location: In total there are 9 workspaces of Incubex spread in the city. Out of all these here are the addresses to two coworking spaces in Koramangala by Incubex. 135, 1st Cross Rd, Srirangapuram, 5th Block, Koramangala, Bengaluru. 126, 1st Cross Rd, 5th Block, Koramangala, Bengaluru. Membership Plans: The membership plans at all the Incubex coworking spaces in Banglore vary. They provide hot desks, private offices, meeting rooms, virtual offices, and enterprise offices. 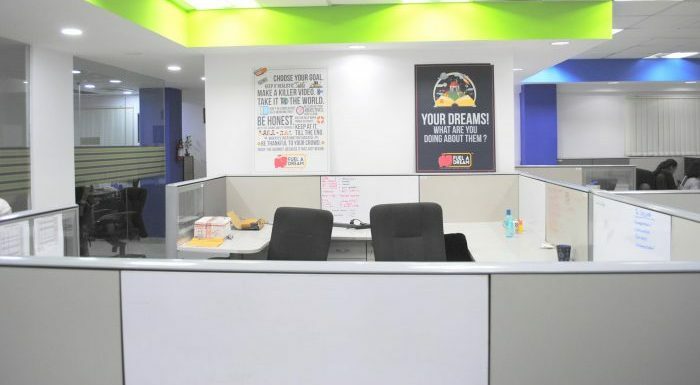 This coworking space in Bengaluru is all about teamwork. Their environment is self-curated to energize the team so that your startup can have a synergic push. All the more the citywide locations of Solo cubes Bangalore allow you to work from proficient commercial areas. These areas have the highest scope of development and provide a lot of opportunities to all the tenants working here. 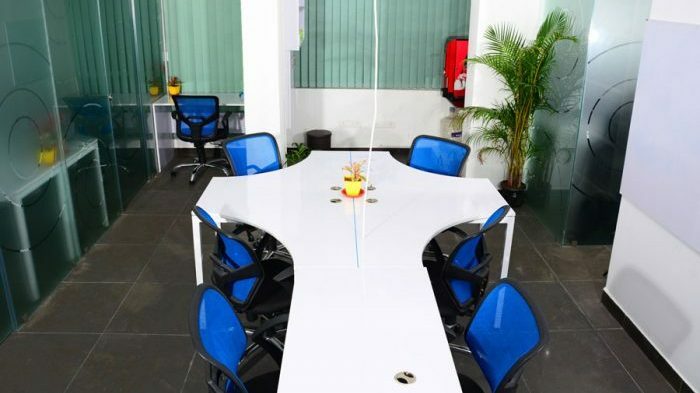 Location: Solo Cubes’ coworking space Bangalore is at two locations. Solo Cubes, Sanikams Building, 2nd Floor, 135 MIG, 60 Feet Road, 1st Cross Road, KHB Colony, 5th Block, Koramangala, Bengaluru. Sai Complex, Museum Road, Haridevpur, Shanthala Nagar, Ashok Nagar, Bengaluru. Membership Plans: Solo Cubes Bangalore offers you various options to choose from when it comes to becoming its member. There are dedicated hot desks available, solo private cabins are also there. Along with this, they offer virtual office solutions and luxury relaxing desks. At Solo Cubes, you can also hire event spaces and meeting space as per your requirements. The Indian Startup scene is cruising at a high-speed today. Within a few years, a lot of startups have seen the dawn of success and some vanish with the dusk. But, a credible tool in the hands of these startups is the coworking spaces in Bangalore. Among them, Sparkplug Coworks offers various propitious avenues and pathways to these startups. The major focus of this coworking space in Koramangala is to advance the startups to new heights and assist them in constant progression. Location: No. 42, 2nd & 3rd Floor, 100 Feet Road, 4th Block, Koramangala, Bengaluru. Membership Plans: The Hot desk prices of this startup-centric coworking space starts from ₹6499/month. The dedicated desk, however, will cost you ₹7599/month. SparkPlugs Coworks Bangalore also facilitates private offices for single person and teams. A single person private office rates start from ₹7999/month. The Virtual office solutions begin at ₹999/month. Common Desk is among those coworking spaces in Bangalore which have set everything to just RIGHT. There is no overdoing of interiors, facilities, services. Nor there is any undergoing of these aspects. They have maintained a balance between your work and the community. This is to ensure that you get enough space, spatially and mentally to work and succeed. Location: This coworking space in Indiranagar resides at 1st Floor, 271, 14th Cross, Opp. Indiranagar Park, Near Motto Adda/ Indiranagar Metro Station, Indiranagar, Bengaluru. Membership Plans: Among the different membership plans offered by this Coworking space in Bengaluru, you can anyone. These are day office or day pass, dedicated desk, office spaces, and virtual office membership. Among all the coworking spaces in Indiranagar, Dreams@work stands out because of its pro-active approach. You will find that at Dreams@work Bangalore you are working amongst a buzzing trend of efficiency. This coworking space offers tailored workspaces that will suit your business requirements. They also conduct events and workshops which target the budding startups. It nourishes interaction within the community and helps you build your network. Location: 59, 9th Main Road, Stage 2, Eshwara Layout, Indiranagar, Bengaluru. Membership Plans: The membership plan of this one of the many business-oriented coworking space Bangalore starts from Individual hot seats. For a more comprehensive business requirement, there are personal cabins and executive offices. In total, there are 4 locations of Insta Office in the City of Gardens. Two are in Indiranagar and one each in HSR Layout and Koramangala. 259, 2nd Floor, 2nd Main Road, 6th Cross Road, Binnamangala, Stage 1, Indiranagar, Bengaluru. 1st Floor, Citadel Plaza, 12th Main, HAL 2nd Stage, Indiranagar Double Road, Bengaluru. 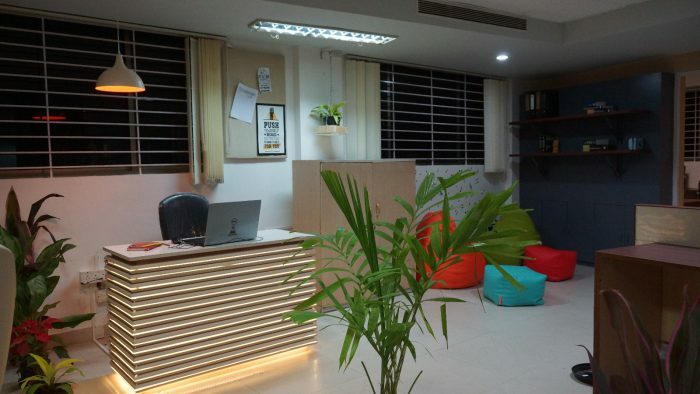 Membership Plans: At this coworking space in Indiranagar, you can work from an open flexi desk and also a private cabin. For membership, there are monthly plans and also day passes available. The prices are shared upon request submitted to the management. WorkShaala means a workspace, and indeed this coworking space in HSR layout is an efficient workspace. It has all the features of a regular office added with the collaboration and networking of a coworking culture. Workshaala is one of those coworking space in Bangalore which has everything to offer to the members. There are desks (obvious), state of the art facilities and amenities and most importantly incubation services. Location: Workshaala is present in 3 locations in the HSR layout alone. The other 3 locations are in Bellandur, Banaswadi, and Koramangala. Shree Arcade, No. 1361/16/1, 2nd Floor, 19th Main, HSR Layout Sector 4, Bengaluru. NR tower, 3rd Floor, 17th Cross Road, 19th Main Road, Sector 4 HSR Layout, Bengaluru. 17/R, Sector 3, HSR Layout, Bengaluru. Membership Plans: There are two important membership plans available at Workshaala. One is private office space, starting at ₹6500/month. The other one is the manager’s cabin, which starts at ₹10,000/month. Other than this they also offer conference rooms and a type of free membership with limited perks. Innovation is the buzzword at this coworking space in HSR Layout. NextSpace is a workspace which caters to Entrepreneurs and their world-changing dreams. The members can benefit from incubation services, training, and support service all aimed at grooming the entrepreneurs. To further stimulate the innovator’s dream they conduct workshops and events with a fixed trajectory. Location: 2nd Floor, #780, 19th Main Road, 1st Sector, HSR Layout, Bengaluru. Membership Plans: Nextspace Bangalore only provides shared and individual office cabins with multiple seats. There are 4-seater, 5-seater and 7-seater cabins available. Also, they have a Startup Launchpad program (only a few coworking spaces in Bangalore have this facility) which is pre-accelerator for budding businesses. This coworking space in HSR Layout believes that every workspace should inspire innovation among the members. That is why 365 Shared space provides all the services and avenues which help the members to streamline their work. This coworking space based in Bangalore believes that a well-knitted community can support startups and businesses optimally. That is why they focus on building a community first and offices later. Locations: 365 Shared Spaces has 3 coworking spaces in Bangalore and one is coming soon in Indiranagar. 17/T, 18th Cross Road, 2nd Floor, Above Reliance Digital, 17th Main, Sector 3, HSR Layout, Bangalore. Building no: 153, Sector 5, 1st Block Koramangala, HSR Layout, Bengaluru. L-379, APR Enclave, 5th Main Road, Sector 6, HSR Layout, Bengaluru. Membership Plans: 365 Shared Space offers four different membership plans which focus on your growth level. These plans do not characterize desks and office spaces. The Starter Plans will cost you ₹425, then there is the Regular Plan which will cost you ₹2500. Going forward, you can also go for the Plus Plan priced at ₹3200 and lastly, the Enterprise Plan comes at ₹5500. Evoma is amongst the most efficient coworking space Bangalore. It will help you establish your venture successfully by providing guidance at every step. Whether you are thinking about starting a business or already own a well-established venture, they will make sure all your requirements are catered to. Apart from providing the usual workspace options, they have made available great virtual plans just for you! This implies you can get all the benefits of a regular member from the comfort of your home. 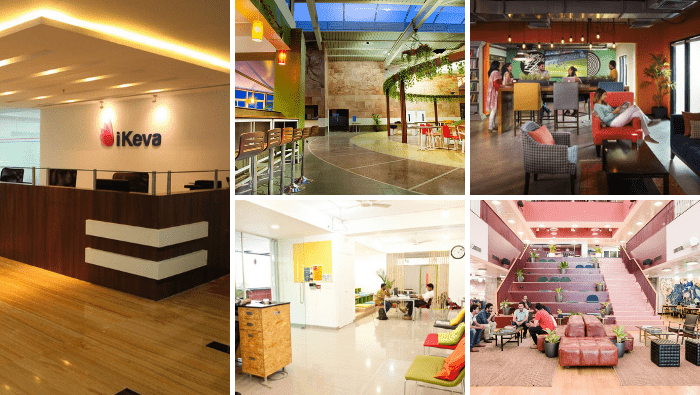 Other than these, Evoma has two more coworking spaces Bangalore in different locations. 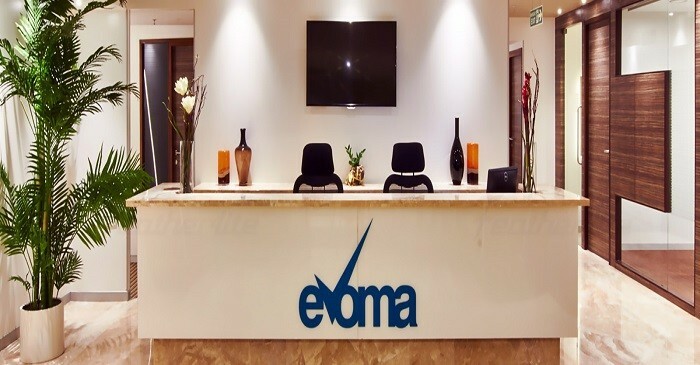 Membership Plans: At Evoma, you will have a good many options to choose a suitable workspace for yourself. These include serviced offices, coworking desks, conference rooms, and boardrooms. In addition to this, they also provide virtual office plans. Get in touch with them to know about the price and other details. 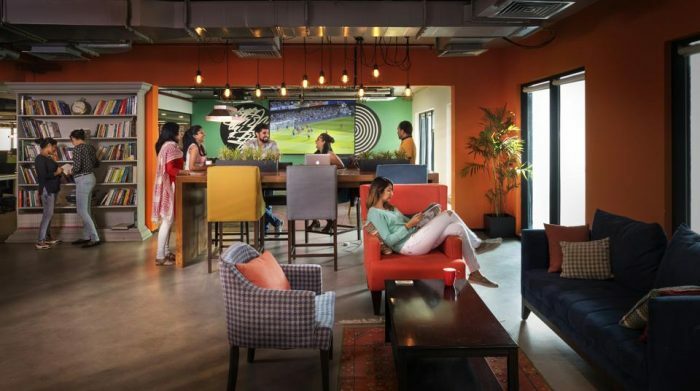 The Hive Bangalore is a constituent of a great chain of coworking spaces offering workplace solutions in the form of shared and private offices. Further, they provide state-of-the-art amenities that will surely help you accomplish tasks more conveniently. You will be working with a community of talented professionals who can assist you as you move forward. The workplace is brimming with opportunities waiting to be unraveled. It is certainly one of the best coworking spaces in Bangalore. Membership Plans: Under the coworking options, The Hive Bangalore provides Hot desks (₹ 7,500) and dedicated desks (₹ 11,000). If you want a more confined space, they also provide fully-furnished private offices at request. Other than this, you can also get your own customized space for which you will have to contact them. 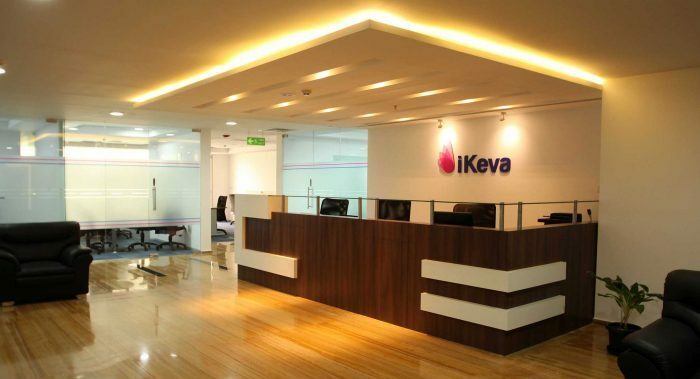 Another great option from a pool of coworking spaces in Bangalore would be iKeva. They have set-up beautiful offices with lively decor which will surely raise your spirits every time you drop in. Moreover, the work center offers a long list of additional perks. From access to high-speed internet to personalized mail services, all that you have dreamed of is available here. Take a tour and see for yourself! Location: iKeva, Rajesh Chambers, Brunton Rd, MG Road, Craig Park Layout, Bengaluru, 560025. Apart from this, iKeva has another location in Bangalore. Membership Plans: iKeva coworking spaces Bangalore understands your work requirements. Based on this, it has come up with flexible membership plans. For instance, they provide coworking space (starting from ₹ 3000), team offices (starting from ₹ 10000), virtual offices (starting from ₹ 1000) and meeting rooms (starting from ₹ 300). So, choose the option that fits your requirement criteria! If you are looking for a place where you can grow your business then DBS Business Centre should be on your checklist. Not to mention, this four-storeyed center is located in the commercial hub. If this is not the greatest advantage for a growing business venture then I don’t know what is! Moreover, what sets it apart from other coworking spaces in Bangalore is the fact that it provides highly efficient business facilities. Membership Plans: DBS Business Center offers complete office solutions for you and your growing team. Also, they have made available various virtual office plans as well. This coworking space in Bangalore houses great conferencing centers in addition to other facilities. For membership prices, kindly connect with the team members. Numa Bengaluru is a coworking facility that helps startups to work on their innovative ideas. For the companies who have just started with their journey, this is a great place to explore your potential. Not to mention, they will help you access the global innovative market and procure all the exposure your business requires. You can always take guidance from the mentors at the workstation in case of find any obstruction. Overall, this is a great place to cowork in all the coworking spaces in Bangalore. Membership Plans: At Numa Bengaluru, you can choose to cowork at a rate starting from ₹ 300. Other than this, you can hire a private office at a price starting from ₹ 50,000 to 70,000. They also provide meeting and event spaces for which you will have to check out with them. Bootstart has reimagined the office space and culture, not just only in Bangalore but in all the other locations. 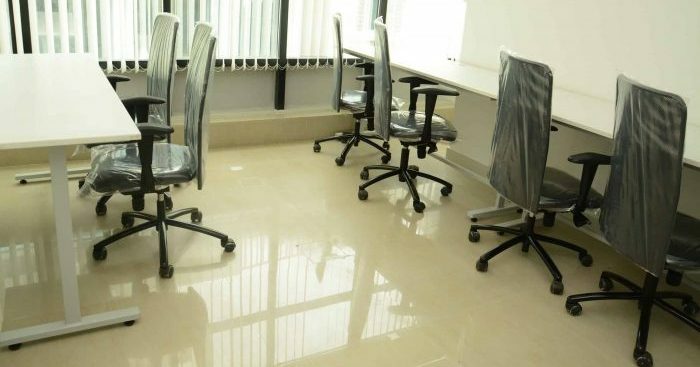 The coworking spaces in Bangalore similar to Bootstart provide a unique avenue to the members for working and interacting with the like-minded people. Bootstart has solved the problem of taking hours to reach the office and has instead brought offices near you. 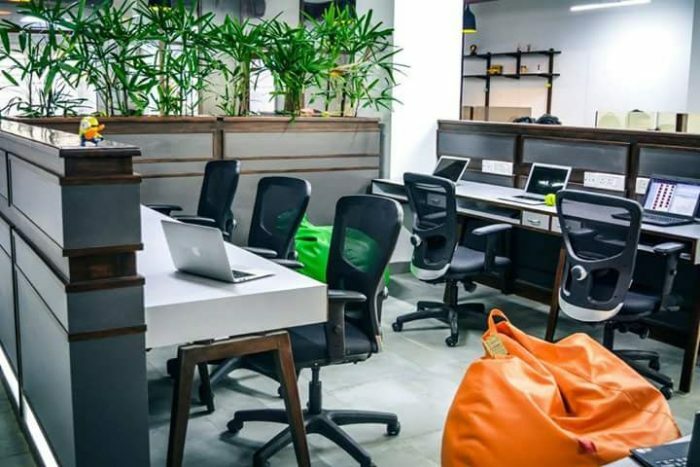 This coworking space in Bengaluru is different and have set upon an aim to be an economical service provider in the country with respect to professional workspaces. Membership Plans: Bootstart Bangalore membership includes dedicated desks and private seats. Each shared dedicated desk will cost you ₹5999/month, you will get a seat in the shared workspace under an ample amount of natural light. For a more private seat, there are separate private seats with more desk space starting at ₹6999/month. They also offer meeting rooms, conference rooms, and virtual office services. This is where Bengaluru’s own creatives meet and greet. The Bohemian is another one of the unique coworking spaces in Bangalore. This workspace caters to creative people from all walks of life and it provides the members with a common ground to let the ideas flow everywhere because when art collaborates, the result is always magnificent. All the more, they are housed in an old heritage bungalow in Bangalore. The interiors are splendid and the environment is welcoming. Membership Plans: The Bohemian House Bangalore offers three types of memberships. The Day pass comes at ₹708/day. Next, there is the Traveler pass which will give you access to this coworking space in Bangalore for 10 days at ₹5999. Lastly, there is the Prime membership plan. Full month access to the space and everything that they have to offer after paying ₹10,999/month. Truly, Bangalore is a marvel city in India. This city is considered as the breeding ground for India’s future. There are a lot of connections glowing wide open in Bangalore. From spiritual to professional, you will find something to work on here. As for the coworking spaces in Bangalore are concerned, this city has something for everyone. There are a lot of avenues waiting for you in Bengaluru. So, take the leap, have some faith and just step into the world of progress, success, and growth. Happy Coworking!